The park covers 12 acres on the Idaho side of Oxbow Reservoir, downstream of Brownlee Dam. Parking for vehicles and boat trailers is limited. Located on the Idaho side of Oxbow Reservoir, three miles downstream from Woodhead Park and before crossing the Snake River bridge into Oregon. 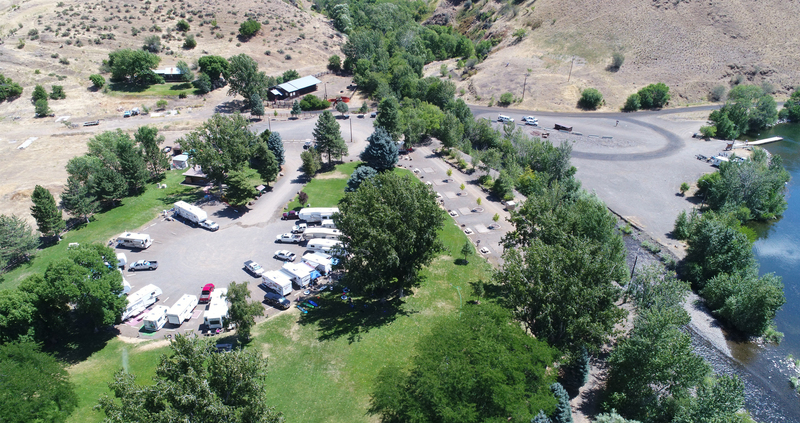 We maintain three other parks in the Hells Canyon area. Carters Landing is a 1.7-acre site on the Oregon side of Oxbow Reservoir and is first come, first serve. The park is about four miles downstream from Brownlee Dam and three miles downstream from McCormick Park. Built in 1958, the park is named for Fred McCormick. McCormick worked for Idaho Power for 25 years and was chief engineer during construction. Oxbow got its name from a three-mile bend in the Snake River. To early settlers in the area the bend in the river looked like the U-shaped frame that forms a collar around an ox’s neck.